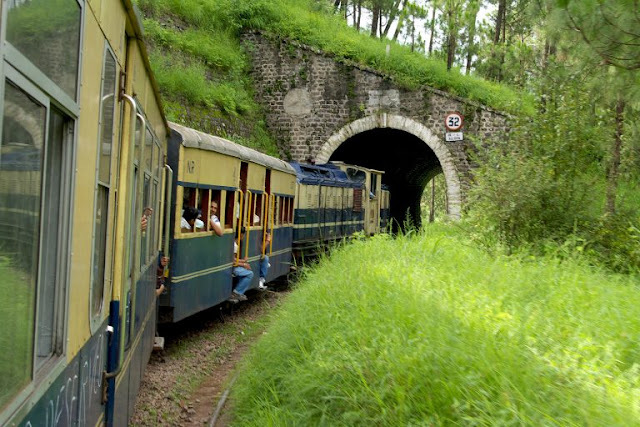 Shimla is one of the most famous visiting places in India. In India, most people plan vacations for Shimla. It is one of the famous hill stations, in summers here is mostly rainfall and in winter season here is snowfall. "Shimla is the most famous place in India". 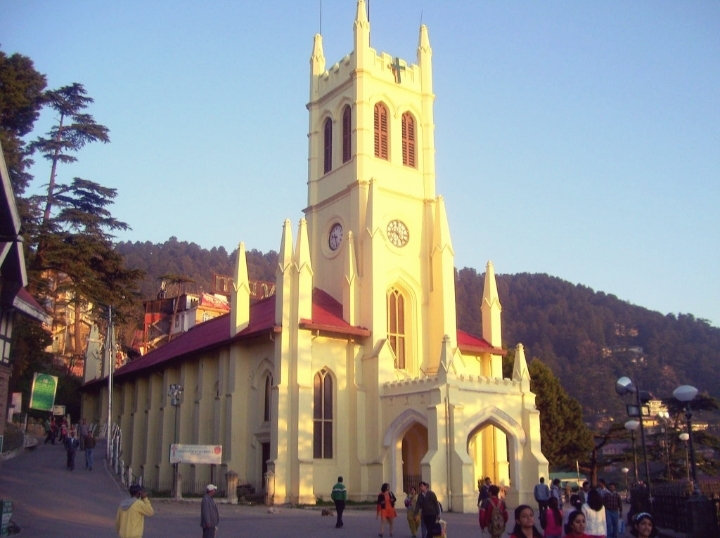 Christ Church is one of the famous places in Shimla. This church is opened every day. 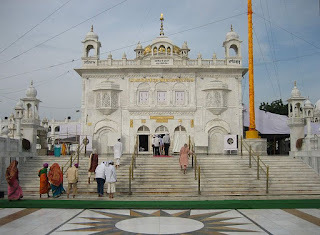 This church was constructed in 1846; this is the second oldest church in North India. The stain-glass windows, representing a charity, faith, patience, hope, fortitude and humility, and 19th-century organ are particularly impressive. This place height is 2025m. It stands out as one of the prominent landmarks of Shimla and its silhouette is visible for kilometers around the vicinity of Shimla city. Christ Church is one of the enduring legacies of the British Raj. Their people take photos and collect their memories. 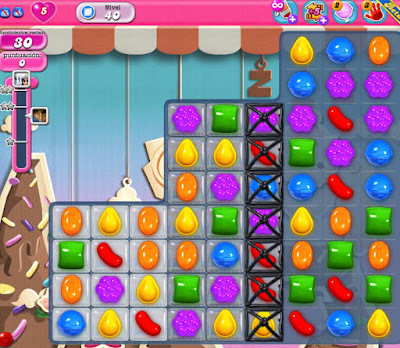 Have lots of fun with near and dear ones. If you come in June -July months will be able to enjoy rainy days. There is awesome weather. This place Shimla's highest point is one of the most beautiful tourist destinations in Shimla. 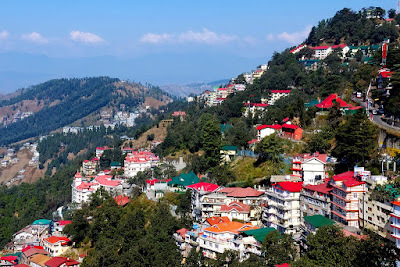 From the peak of the hill, one can have a panoramic view of the Shimla town and its surroundings. At the top is an old lord Hanuman temple. 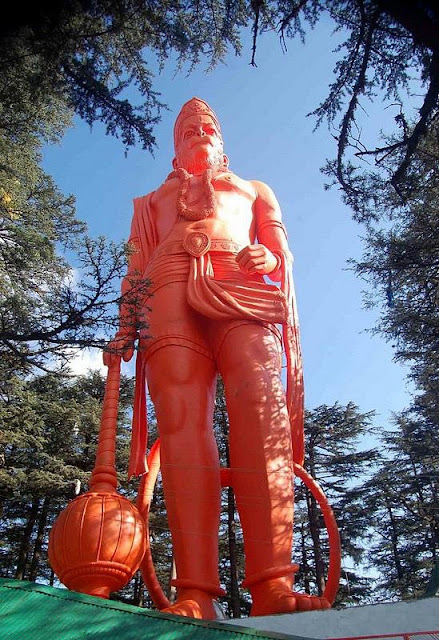 There are 108 feet lord Hanuman statue. This lord hanuman statue influences the tourists. First time I hear there is lord hanuman temple, I refused to go there but my friend told me that there is lord hanuman’s big statue. I then made a mind to visit once. This is a cool and amazing place. The temple and hillside are populated with very aggressive and cunning monkeys. Be extremely careful with your camera, glasses, bag and (especially) food. 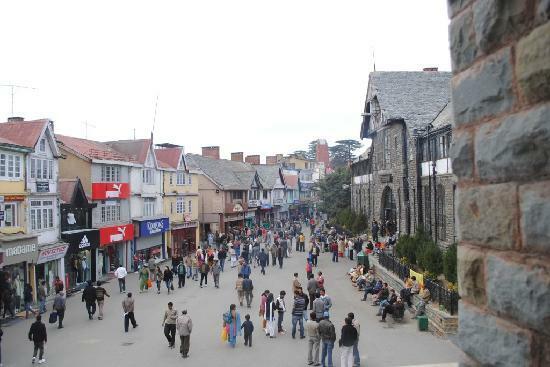 The Mall is the main shopping center of Shimla. The Mall is also the main meeting place for the people of Shimla. 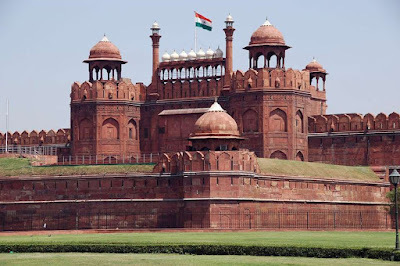 Constructed during British colonial rule, the Mall road has located a level below the ridge. The offices of Municipal Corporation, fire service, and police headquarters are located here. 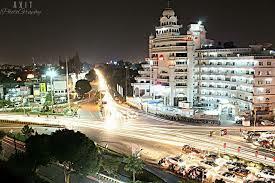 Mall Road has a number of showrooms, department stores, shops, restaurants, and cafes. 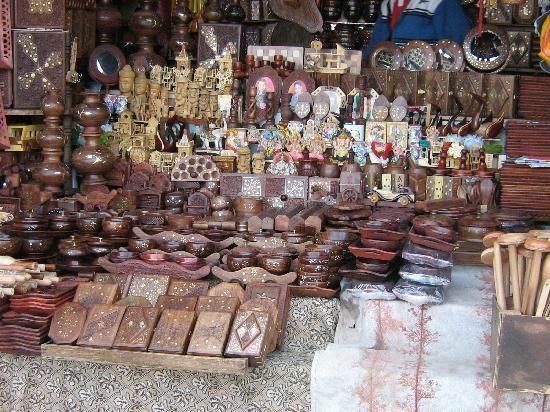 A Himachal emporium that offers handicraft products of Himachal Pradesh like locally designed woolen clothes, branded clothes, pottery items, wooden products, and jewelry is also located here. 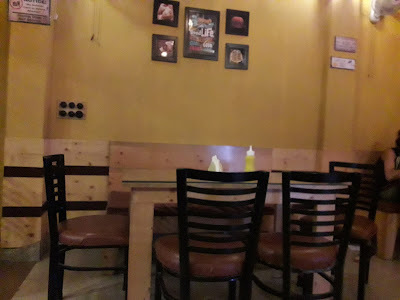 I share few places visit on Mall Road, Scandal point, Gaiety Theater, Kali Bari Temple, Town Hall etc. if you are visiting Shimla, you are not going to Mall Road then your visit Shimla incomplete. This Visit point for special wildlife lover. You know Shimla has located a lap of mountains. Every visitor thinks, they seen close to Shimla forest. 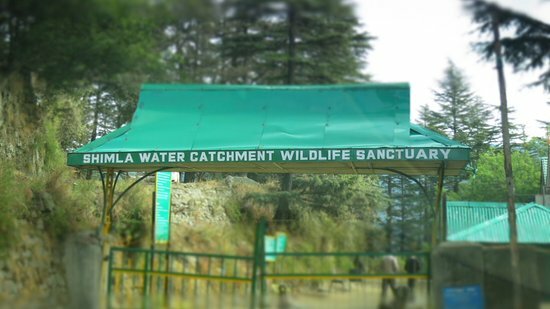 Shimla water catchment sanctuary perfect place for visit wildlife. This site is closed on Monday. This is a man-made reservoir in the center of the forest that provides drinking water to Shimla town. The reservoir was completed in 1901 and to the water supply scheme from the sanctuary is Shimla's only gravity feed water supply scheme. This visit point is under the charge of the Forest Department. The forest is home to the barking deer, goral, flying squirrel, pine marten, porcupine, and leopard. There are also a great number of birds; in fact, there is the highest density of koklass pheasant in this forest. Here also are some White Oak, Robinia, Horse Chestnut, Monkey Chestnut, Blue Pine, different species of Oak such as Himalayan Oak and Mohru, Rhododendron, Spruce, and of course some ferns and high rising grass are found in abundance in Shimla Catchment Area. Vehicles entry has been restricted to the sanctuary. You may choose to walk or hire a bicycle from the main gate. Shimla water catchment sanctuary one of the best place in Shimla. Shimla is a huge city; do not forget Shimla is the summer capital of the British Raj. A year-round vacation destination frequented by large number tourists. Travelers contemplating how to reach Shimla need not worry as it is one of the most visited and easily accessible hill stations in the country. 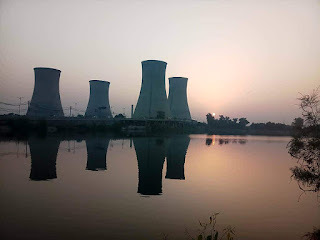 It is well connected to major Indian cities by all means of transportation. By air -Shimla Airport or Jubbarhatti Airport, about 20 km from the city, is the closest domestic airport serving this beautiful hill station. 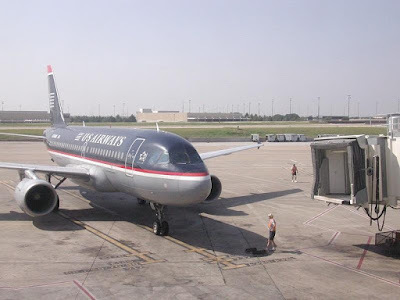 There are regular flights for Shimla from cities such as New Delhi and Chandigarh. New Delhi airport is an international airport. By road - A road journey to Shimla is a visual delight. 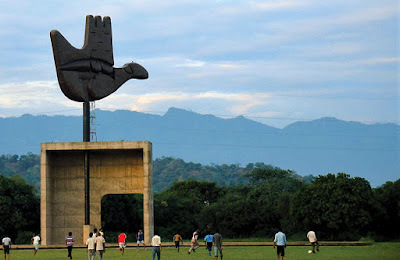 The hill station enjoys excellent connectivity with neighboring cities. 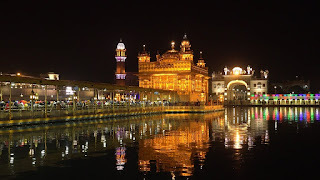 New Delhi, Kullu, Manali, Chandigarh and Ambala through well-maintained national highways. By train-Kalka railway station, situated at a distance of around 96 km, is the nearest railhead connecting Shimla to neighboring Indian city. This train mostly closed in winter. Nice Place.Its my favorite place.